The security of your home keys is important. Whether, you have original or duplicate keys, you have to pay attention to its security. 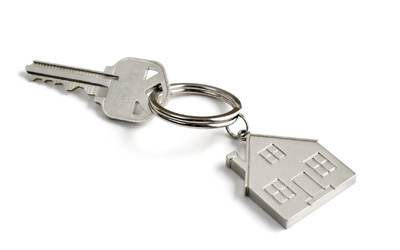 Most of the people used to hide their home keys nearby their home or extremely vulnerable places. You must know the way how people approach your hidden keys. You may hide your keys in the best place, but you are offering them to make a burglary by hiding keys at the worst places. Doormats are one of the common places to hide the keys. On finding your home locked, the first reaction of the visitors will be checking the doormats. So, it is never a safe place. Whether you have created a fake rock or using an original rock to hide your home keys, your idea is wrong. Leaving your keys under a too heavy rock may be a helpful idea, but it will be difficult for you to lift a rock and place your keys inside it every day. Do you have flower pots kept at the entrance of your home? If yes, don’t use them to hide the keys, use them just for improving your home exterior. Obviously, whatever you have kept out of your home, the burglars will first detect it to find the key. There are low chances to prevent your home from burglary by placing your door key on the top of the doorway. One is suggested to never take any risk with your home security. You have only three concerns behind hiding your house keys, these are proximity, accessibility and security. But, if you are using the common and risky key hiding techniques, you may not be able to prevent your home from theft threat. In order to remove the risk of losing your keys, you can upgrade your home security systems. Being a professional Fort Saskatchewan 24/7 Locksmith, we take your security as an important part of our job. This is why we always help our clients to provide better information for their home security. We are your local locksmith specialize in the installation, repair and replacement of locks and keys.